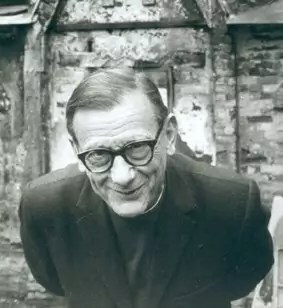 Jean Daniélou was one of Roman Catholicism’s key twentieth-century theologians. A French Jesuit and ressourcement thinker, Daniélou had a great love for the Church Fathers, notably Gregory of Nyssa, the subject of his earliest writings. But he was no antiquarian; he was a cultural critic, well-read in other religions as well as classical literature and the modern secular corpus. In 1969, he was made a cardinal by Pope Paul VI, and he died in 1974, less than two years after his election to the prestigious Académie française. The Lord of History can thus be seen as a seminal work in this project, especially as regards a Christian theology of history. Daniélou’s work in this respect on the Greek Fathers was later complemented by Joseph Ratzinger’s exposition of the Latin Fathers on similar themes. Unfortunately, Daniélou sank into obscurity after his death, largely because of church politics. He served as an adviser at Vatican II, and subsequently fell afoul of progressive Jesuit leaders, as he publically denounced the spread of errors some Jesuits saw legitimized by the council. He made enemies and ended up a mere chaplain at a nunnery. He was found dead at age 69 in a prostitute’s apartment, and although the Jesuit investigation found that Daniélou was by all accounts involved in a quiet act of charity, leaders in his order made little effort to clear him publicly. He was conveniently ignored for decades. Although Daniélou ranks high in the esteem of Joseph Ratzinger/Pope Benedict XVI and those of the ressourcement movement, he remains less well known as a theologian to the general population than, say, his colleague Henri de Lubac. Daniélou’s extraordinarily humble character suggests that this would please him: the ideals he dedicated his life to continue strong, while the man himself is forgotten. English-language editions of most of his books are long out of print. But for whatever reason, you can find The Lord of History available online in its entirety, a circumstance I have taken full advantage of. What follows is less a review than a summary of his arguments, which are many but easily grasped. The Lord of History, being largely comprised of Daniélou’s lectures, is not so much a unified treatise as a collection of thematically related essays. Following the introduction, these are divided into three parts, the first of which is a ten-chapter discussion of various contemporary issues that confront a Christian theologian of history, the second (eight chapters) a treatment of the theology of history arising from the scriptures, and the last (six chapters) an examination of the qualities proper to a Christian within history as such. I shall retain the structure of the original work and divide this summary accordingly. Daniélou begins by highlighting the uniqueness of the Christian view of time. The Bible depicts history as a series of divine operations. This conception of history as process and progress, however, was absurd to the culture in which it first appeared. The Greeks read a fixed metaphysical order comprised of the immobile divine and the cyclical mobility of time. But the work of Christ is singular, a true event: what happened once never happened before and will never happen again, and it has permanently changed the cosmic order. Time and history thus have linearity and meaning. But the Christian view was not wholly Judaic, either. If Christians asserted the importance of the singular event in their dialogue with the Greeks, they insisted on a particular interrelationship of events in conversation with Jews. Christians and Jews agree on the divine ordination of Old Testament institutions, but Christians insist that nevertheless they have now been abolished. How can something divine be valid at one time but not at another? The apparent contradiction can only be resolved by the view that time means progress. As St. Irenaeus explained, the patterns laid down in the old covenant were provisional, becoming obsolete after their proper time had passed. The imperfect is instituted as a necessary means to the perfect; the type precedes the reality. Indeed, Daniélou notes, typology is ultimately what makes a Christian view of time intelligible. Still, a Christian view of history cannot be limited to these two distinctives, “event” and “progress.” Christianity possesses an eschatology, a theory of the end of time. Christ himself has inaugurated this end, the stage that comes last and endures forever. The end of history thus appears in its chronological middle, the split between BC and AD. But at this point an objection may be raised. Where is the evidence that Christ brought the last age? The world looked very much the same in 40 AD as it did in 40 BC. There is just as much suffering and war and hatred now as before. To this, as Origen explained, the Christian can only say that there is, indeed, something we still wait for. The reality is come, but we still see “through a glass darkly”; “but then, face to face.” The Church serves as the presence of the eschaton among humanity, nurturing us until the expected Second Coming. One implication is that sacred history is not a thing of the past. Rather, it is ongoing, manifesting in the salvation of each soul–and, the Catholic Daniélou adds, in the sacraments and magisterium. Daniélou argues that a Protestant tendency to restrict sacred action to the past, today associated with Barth, suggests an arrest of sacred time at the Resurrection. History is then meaningless. All theological preoccupations are stuck in the past as past. In actual fact, the complete transfiguration of the universe is still ahead of us, and the present movement of the Holy Spirit toward that end is not to be ignored. First comes the “work of ages,” the evangelization of every people and every culture on earth. Meanwhile, the Church must also guard against the recurring problem of interior decay, preparing all its members to safely pass through eschatological judgment by the sacraments. Meanwhile, the hostile powers continue to oppose, though deprived of their victory by Christ. Daniélou then turns to the other side of history, i.e. secular history, which is concerned with the rise and fall of civilizations. What are we to make of it? In St. Augustine’s view, the planes of sacred and secular history are completely distinct; indeed, the history of the world belongs to hostile powers. On the other extreme, some subsume the history of the Church into a general social-evolutionary progress. Daniélou offers three observations that build toward a more nuanced appreciation of the sacred-secular relationship. Second, secular history is sacred history’s outward aspect. History’s inner reality, what gives the whole parade of civilizations meaning, is the salvific work of God in time; what happens in politics and economics is ultimately accidental and secondary. If this is true, it is equally meaningless, on the one hand, to place a divide between sacred and secular history, and, oppositely, to define sacred history in terms of secular progress, e.g., how Christianity improves human material well-being. Third, the subject of secular history is moribund. Earthly civilization is, in a sense, made obsolete by the Church, the society of God’s people. Christ is king universal; all other kingdoms are destined to pass away. The Christian belongs both to a society that is earthly and dying, and society that is eschatological and eternal. While the two may coexist at present, they belong to two different eras of cosmic existence, and so must always, on some level, be in conflict. Finally, Daniélou turns to another conflict faced by the Church, that between Christianity and other religions. Some regard Christianity as merely a stage in the development of human religious consciousness; others insist that all alternatives to Christianity are nothing but error and superstition, fit only to be demolished by the Gospel. Between these two extremes, however, a path can be forged. 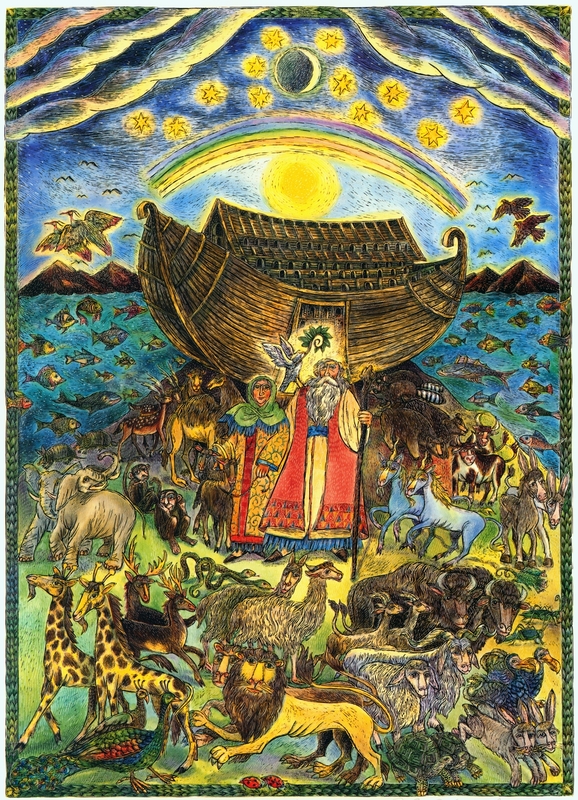 In the first place, we must recognize that the nature-cults do possess the truth of the covenant of Noah, in which God is revealed in the order of nature. All natural rhythms and movements are hierophanies, leading us upward toward knowledge of God. Admittedly, all nature-cults manifest an inevitable corruption of this principle, idolatry: the things of nature cease to be viewed as hierophanies and are worshiped in themselves. Moreover, the Abrahamic covenant succeeded the Noahic covenant, and later Christ superseded Abraham. The failure of paganism to make room for revelation condemns it to obsolescence; the forerunner has denied the next stage in sacred history, and ends up an antagonist. It has refused to be fulfilled, as all covenants must be. This is the true meaning of sacred history: the constant movement of the Holy Spirit, assuming the values of previous religious systems and lifting them to a higher plane. Rituals of spring become Passover, and Passover becomes the feast of the Resurrection. Here Daniélou concludes. We have merely covered the introduction, and already we have been presented with a panoply of intriguing concepts. Daniélou will explore these ideas in greater depth throughout the book. This entry was posted in Book Reviews, History, Theology and tagged Augustine, Church History, Gregory of Nyssa, History, Irenaeus, Jean Daniélou, Noah, Origen, Religion, Roman Catholicism, The Lord of History, Theology.